Yes, that's my brothers and I having a snowball fight. Of course, that was many years ago. 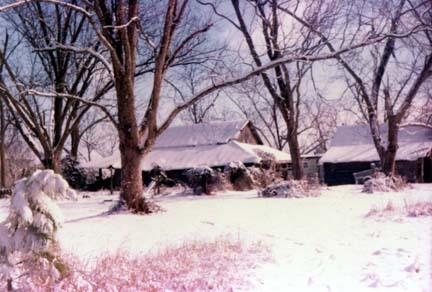 This is a shot from farther back on the property behind two of the old barns. This picture is a very sad one for me. 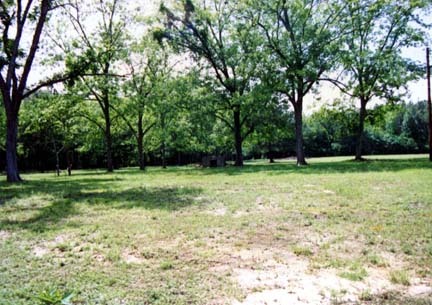 The bare, sandy area of ground is where my Grandparents house used to sit. 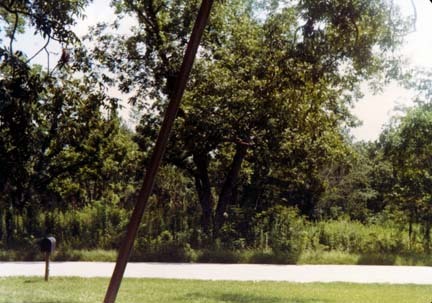 In the background, under the shade of the trees, is the old storm cellar. This is a shot, looking out the front door of my house. 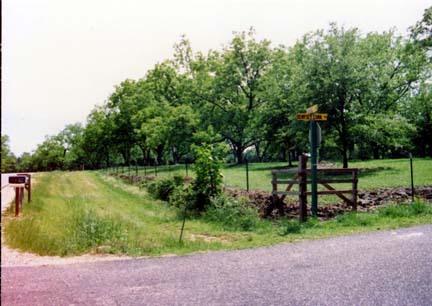 We would have the fields bushhogged once a year in preparation for pecan season. The rest of the year, the weeds and plants grew waist high. After they were bushhogged, we would often find the skins and rattles of very large rattlesnakes who had made their home in the over grown fields. I was amused when I discovered that a road had been named after my Grand Uncle, Dempsey Conn. He lived in a one room house about a mile down this road. It wasn't paved the last time I saw it. This picture is looking in the direction of my Grandparents house. It would be visible in the far background, were it still there. 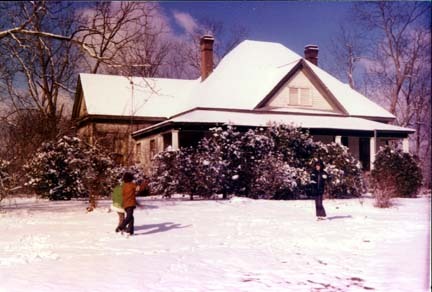 This picture was taken in 1946 in front of the Conn House. Alec and Misouria, my Great Grandparents, are sitting in front while many of their family members stand around them. 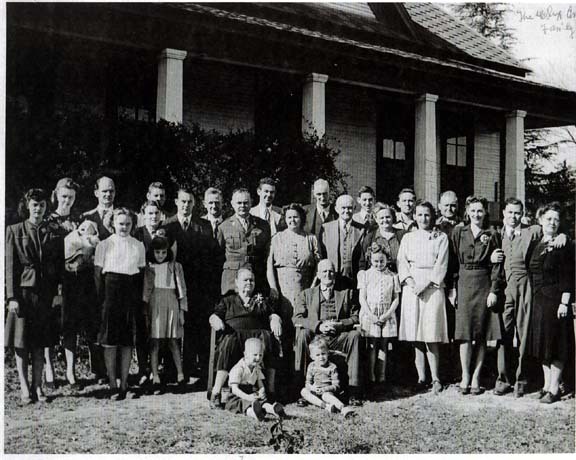 Four of Alec and Misourias' eleven children. They must have gone crazy having four sons serving in the war at the same time.